We are thrilled, humbled, honored and excited to announce that Patrick J. Kennedy will speak at the MOM "Mothers & Others" March" this October 27th! ~ Patrick Kennedy is a long-time hero and champion to the eating disorder field and to all those impacted by mental illness. 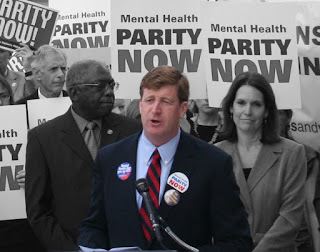 Though he left Congress, he continues to devote his time to Mental Health Parity, most recently: http://tinyurl.com/pencyt9. We are so thankful to Patrick, his family and staff, for generously giving of his time to the 2nd Annual MarchAgainstED! Is This Your Member of Congress?